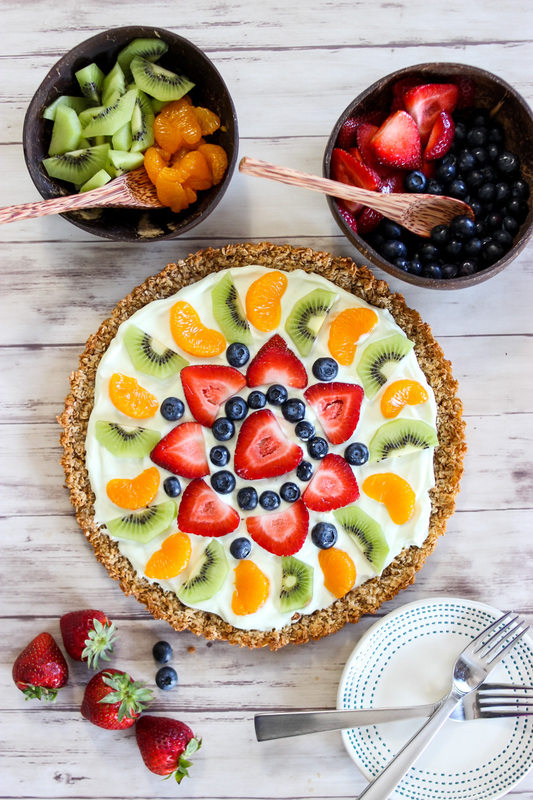 This colorful and flavorful greek yogurt fruit tart is perfect for a special breakfast, great as a snack or to bring to a party for a healthier dessert option. 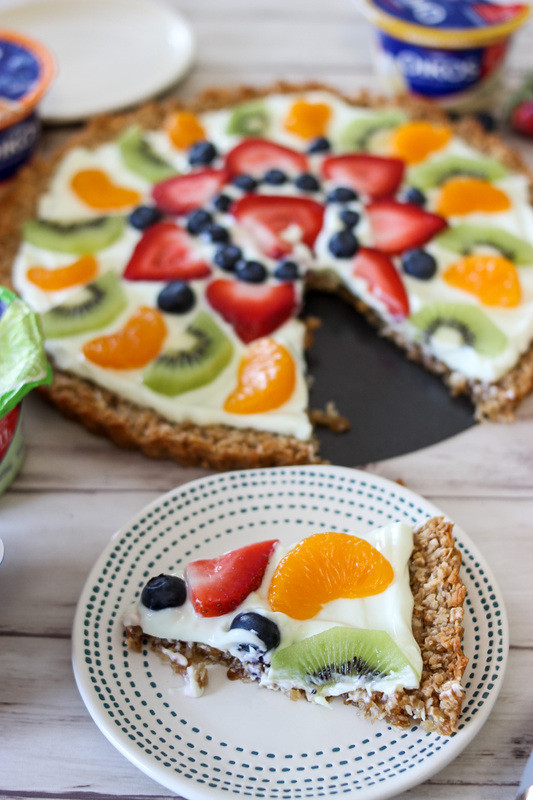 I’ve always been a huge fan of fruit pizza, but wanted to create a lighter and healthier alternative, and this does it perfectly. When it comes to cooking, the easier, quicker and less ingredients…the better! 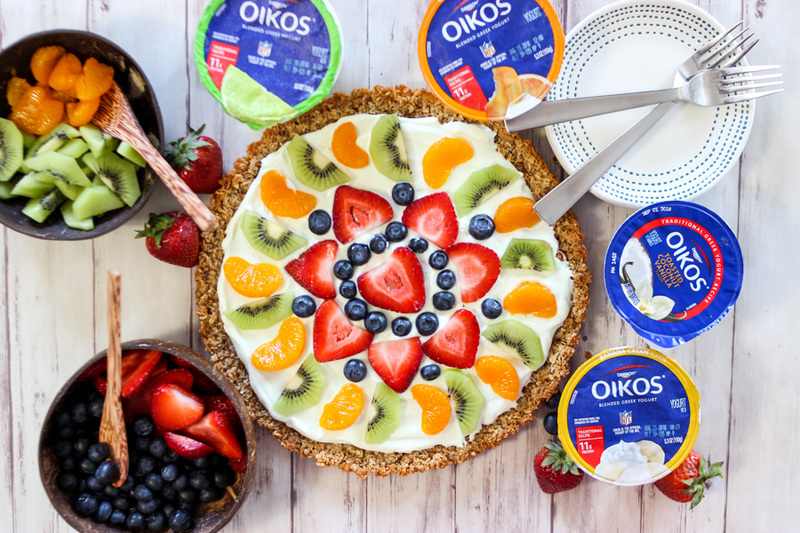 In less than 20 minutes prep time, you have a beautiful, delicious greek yogurt fruit tart that everyone will love. With summer in full swing, fresh fruit is in abundance and with hot weather we are always craving cool, light foods to snack on. 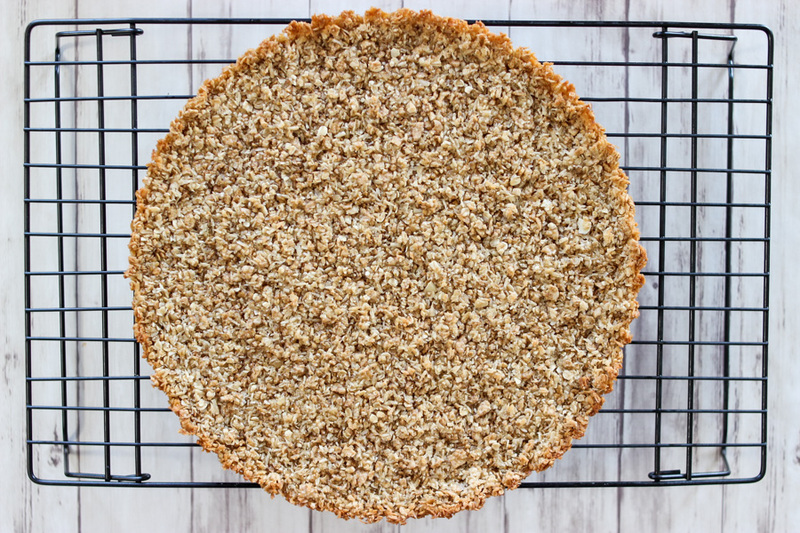 This tart begins with a maple syrup or honey cereal crust that’s combines so well with a thick and creamy yogurt base. 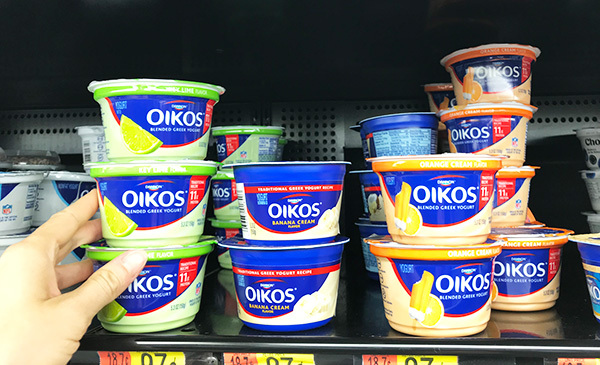 Our house has been loving Dannon® Oikos® Traditional Greek Yogurt lately! There are so many yummy flavors and each serving has only 150 calories and 11 grams of high quality protein, which makes them a perfect addition to a healthy, balanced diet. 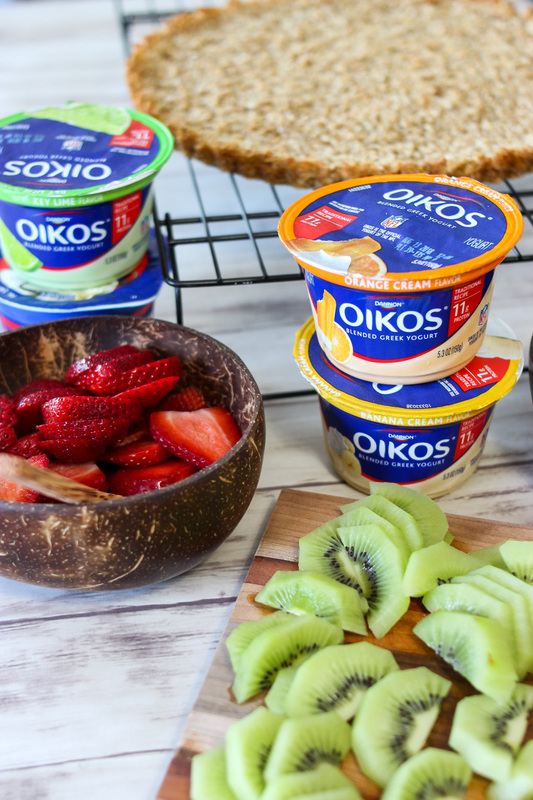 Whether we are using for recipes like this fruit tart, for the base of smoothies, or as a quick grab and go breakfast, I always make sure to stock up on Dannon Oikos greek yogurt on our weekly Walmart grocery run (you can buy them in single servings or 4-packs)! 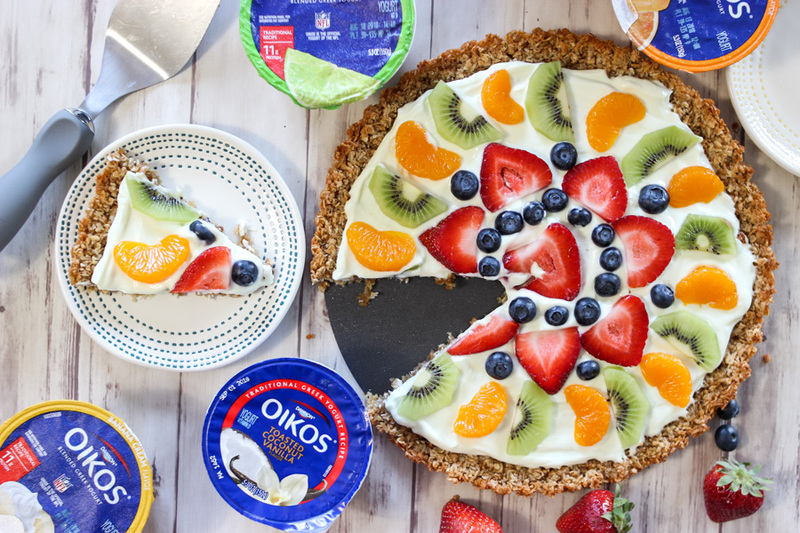 For this greek yogurt fruit tart, any flavor greek yogurt works (for this recipe I did a combination of Key Lime – my fav! – and Toasted Coconut. You can add any combination of fruits too! It’s a super easy recipe to customize based on your taste preferences so don’t be afraid to tweak it as needed. This recipe is best served when made immediately prior to eating to keep the crust in the best condition. 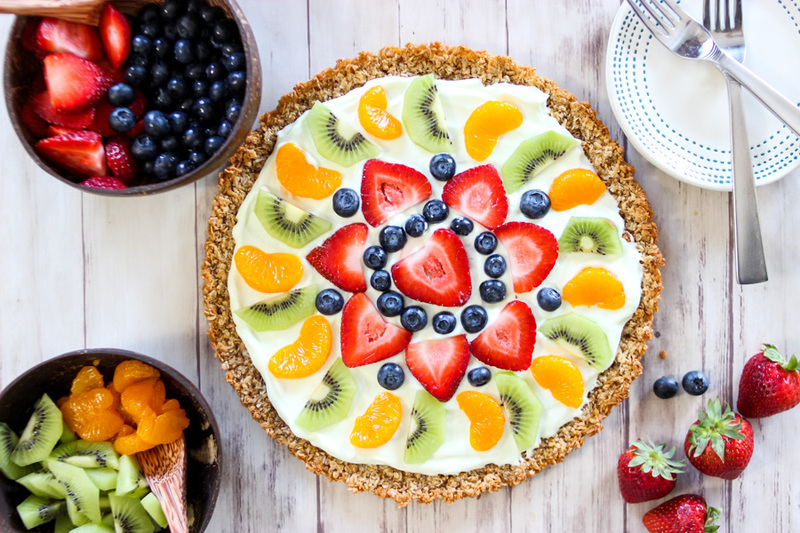 This colorful and flavorful greek yogurt fruit tart is perfect for a special breakfast, great as a snack or perfect to bring to a party for a healthier dessert option. 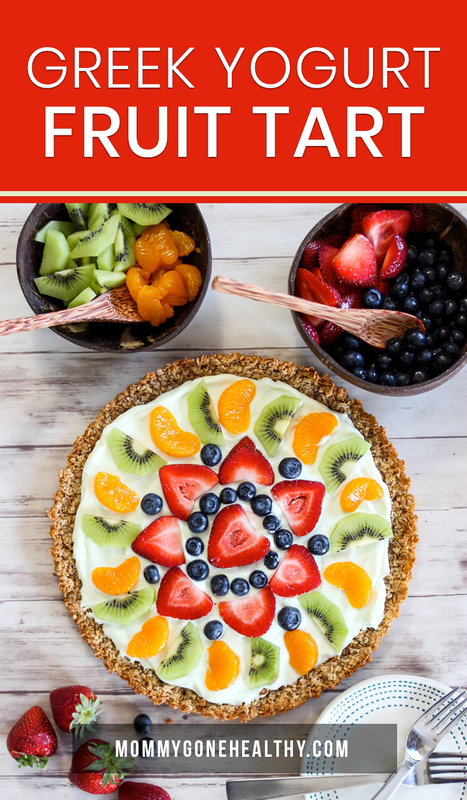 I’ve always been a huge fan of fruit pizza, but wanted to create a lighter and healthier alternative, and this does it perfectly. Preheat oven to 375 degrees. Grease an 11 inch tart pan. Crush cereal flakes with a rolling pin. Mix cereal flakes, oats, coconut flakes and honey together very well. Press mixture into tart pan and bake for 10 to 12 minutes until crust begins to brown. Remove and let cool for 10 minutes. 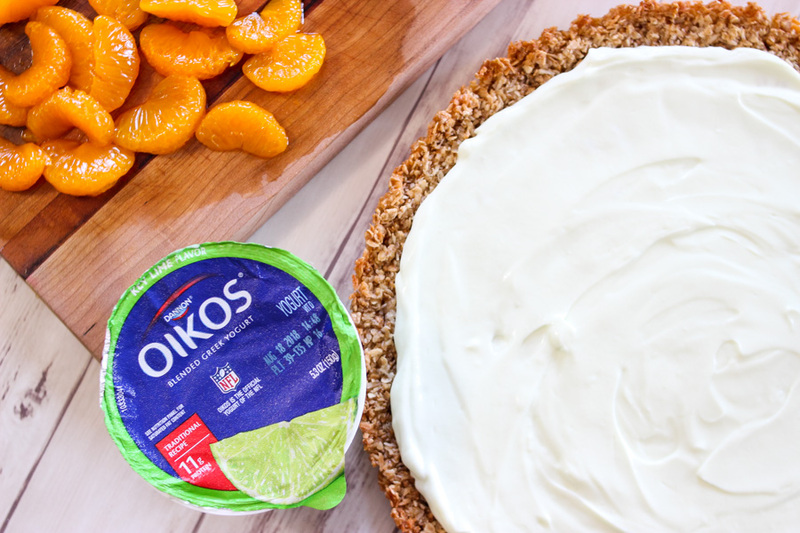 Once tart crust is cool, use a spatula to apply a thick layer of creamy yogurt on top. Top with your favorite fruits. Keep refrigerated. 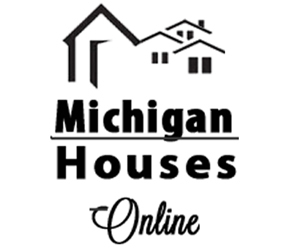 Right now there are some great promotions that you can earn on Ibotta for Dannon Oikos Yogurt! Pick them up at your local Walmart! This looks delicious – what a great way to use up all the fruit and berries we have been picking! I love the idea of using yogurt for this as well. Such a fresh summer dessert! Oh my gosh, this looks so yummy and light and fresh and perfect for hot summer weather! I might have to try this recipe because it looks so yummy. Also this tart looks incredible. Good job making it so pretty!